California, 1957. Lee Mellon believes he is the descendant of the only Confederate general to have come from Big Sur and is himself a seeker of truth in his own modern-day war against the status quo. 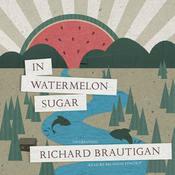 For the first time in audio, A Confederate General from Big Sur was the late Richard Brautigan’s first published novel, written when he was twenty-eight. California, 1957. Lee Mellon believes he is the descendant of the only Confederate general to have come from Big Sur and is himself a seeker of truth in his own modern-day war against the status quo. 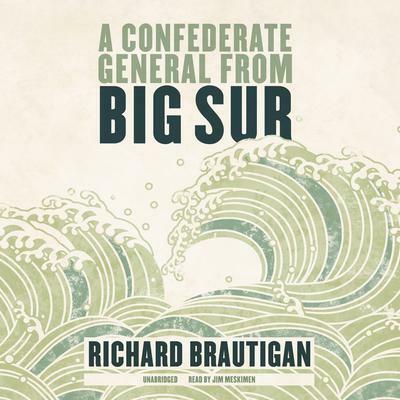 For the first time in audio, A Confederate General from Big Sur was the late Richard Brautigan’s first published novel, written when he was twenty-eight. 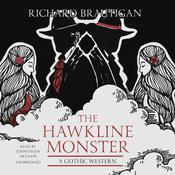 Richard Brautigan (1935–1984) was a literary idol of the 1960s and 1970s whose comic genius and iconoclastic vision of American life caught the imagination of young people everywhere. He was born and raised in Tacoma, Washington, and moved to San Francisco in the mid-1950s when he became involved in the emerging beat scene. 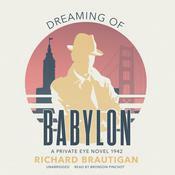 During the 1960s, he became one of the most prominent and prolific writers of the counterculture. 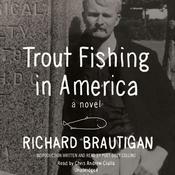 Out of this period came some of his most famous works, the best known of which are Trout Fishing in America; his collection of poetry, The Pill versus the Springhill Mine Disaster; and his collection of stories, Revenge of the Lawn. Translated the world over, his works helped establish him as one of the most significant American writers of his generation. As his popularity waned towards the end of the 1970s, he became increasingly disillusioned about his work and his life. He committed suicide in 1984. He was the author of eleven novels, ten volumes of poetry, a collection of short stories, and miscellaneous nonfiction pieces, works that often employed parody, satire, and black comedy.